While Dan Curtis will be forever remembered as the creator of DARK SHADOWS, he probably believed THE WINDS OF WAR was his true masterpiece. With a budget larger than most Hollywood blockbusters, the 1983 mini-series both defined and broke the concept of the television mini-series. Running more than 14 hours, the series was the definition of epic. And, to some, it was also the definition of excess. 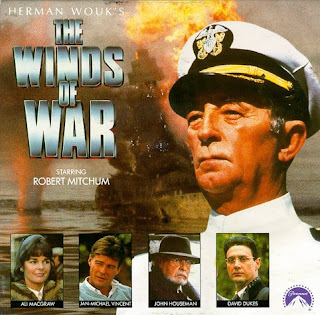 THE WINDS OF WAR didn't have nearly enough lightsabers to get my attention at the time (I was 11 years old when it aired) and my memories of it are limited mostly to comedians making jokes about the the World War II movie cost more than the actual war. "For someone like Curtis, finesse would have made no sense as a priority even if he’d been capable of it. 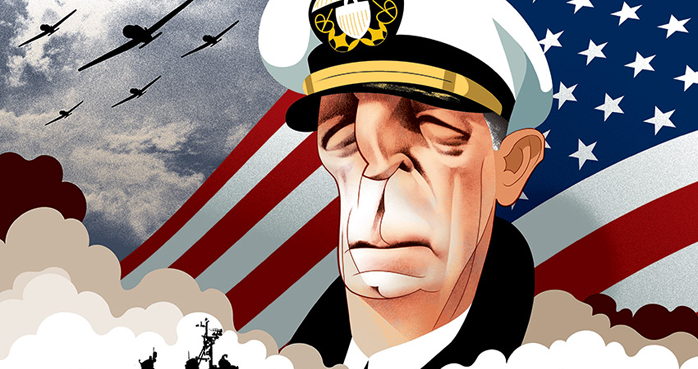 As far as he was concerned, what made The Winds of War important was its subject matter. Sure, the maneuvering required to jump the key players from one flash point to the next can get silly; from White House chin-wags with FDR to Hitler’s Berlin to blitz-bombed London, Pug Henry’s naval career is the most preposterous this side of Cap’n Crunch’s. Yet no other dramatization of World War II is as successful at conveying the conflict’s sheer sprawl and complexity." You can read the entire piece, titled "What The Winds of War Says About Today’s TV," HERE.